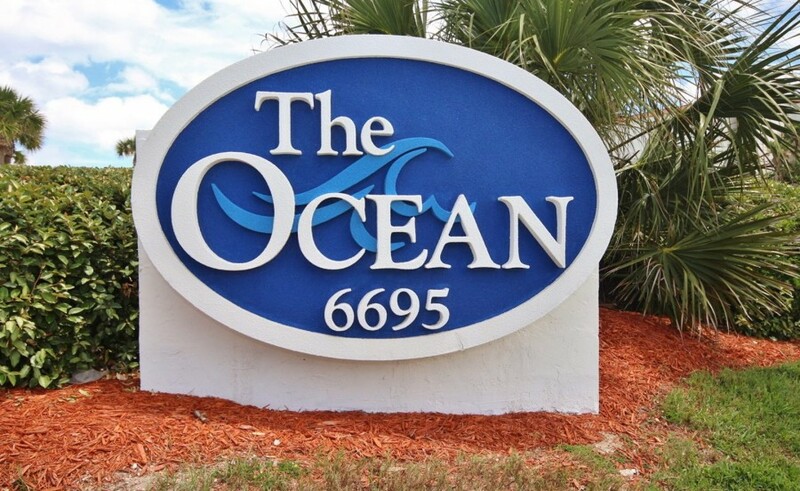 The ocean views can't get any better than the ones you will experience in this well-appointed condo. 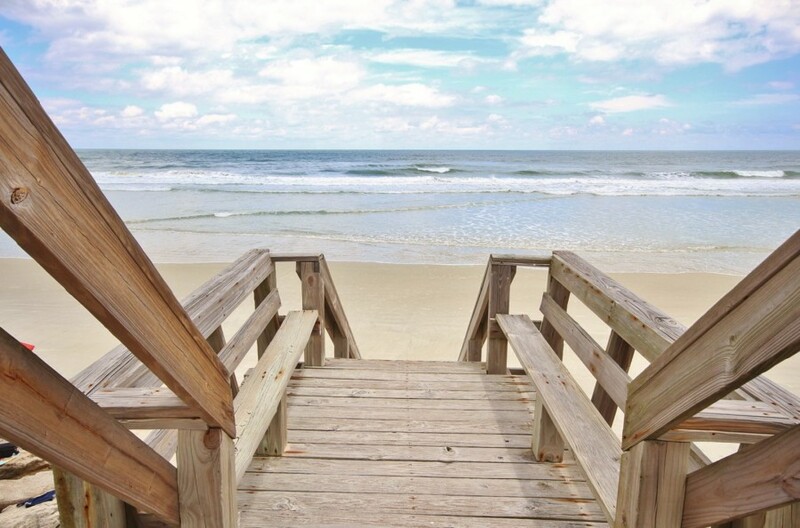 A private porch right off the main living area offers a comfortable area to sit and take in the ocean sounds, as well as provides easy access to the beach. Beautiful Mexican-style tile can be found throughout the main living spaces in this well-thought out floor plan. The open kitchen is fully equipped with stainless steel appliances, cookware and more. A long counter doubles as a meal prep area and bar with stools for additional seating. The dining room is directly adjacent to the kitchen and has a handsome wooden table that comfortably seats six. In the living room, a plush sectional couch is the perfect spot to unwind after a fun day at the beach. 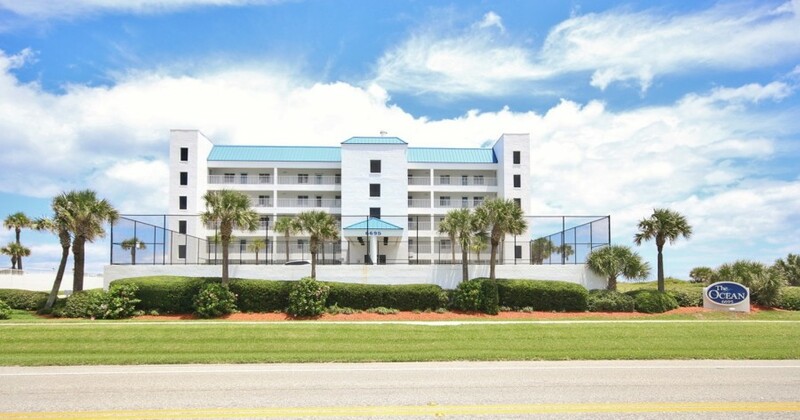 Enjoy the direct views of the ocean or watch your favorite shows on the large flat-screen cable TV. Large glass sliders invite you to the private porch where you can dine al fresco, catch up on a great book or take in a beautiful sunrise. When it's time to retire, three spacious bedrooms await. The master hosts a comfortable king-size bed, tall dresser, flat-screen TV, and a sitting area to enjoy the direct ocean views through the large glass windows and private access to the porch. The master bath has clean white tile throughout, walk-in shower with glass enclosure, long vanity with two sinks and plush towels. The two guest bedrooms both host queen-size beds, flat-screen TVs, ample dresser space and comfy bedding. They each have their own bathrooms that are easily accessible. 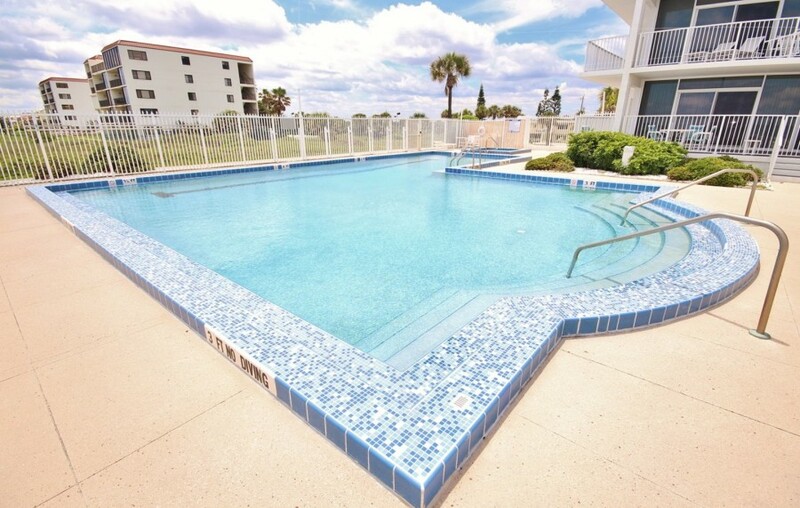 For your convenience, a washer and dryer are in the condo, as well as beach towels, cable and free WIFI. 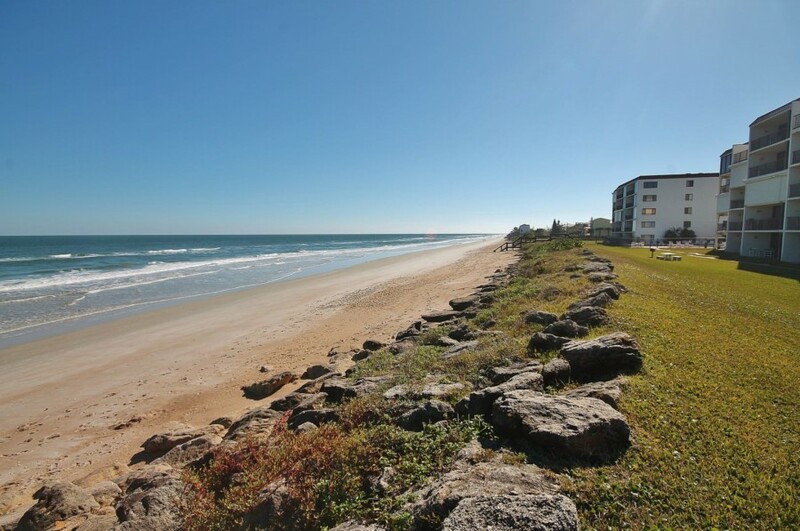 The Ocean, located just one mile north of the Canaveral National Seashore, is a private condo complex on the non-driving portion of New Smyrna Beach. 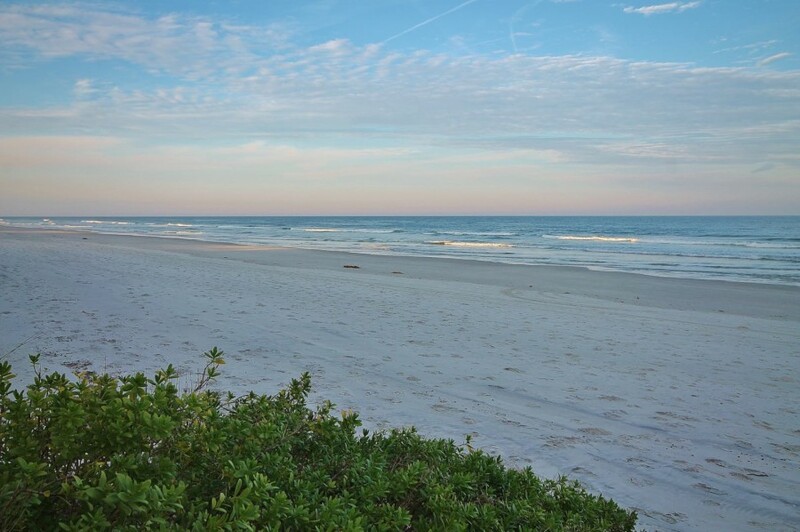 This 20-unit New Smyrna Condo complex offers a laid-back beach experience for water lovers with its beach view condos, oceanfront condos, and unmatched sunset views. The units here are all 3 bedroom/3 bath units with modern, fully equipped kitchens and bathrooms. The complex was built in 1992 and has just 20 individual units. 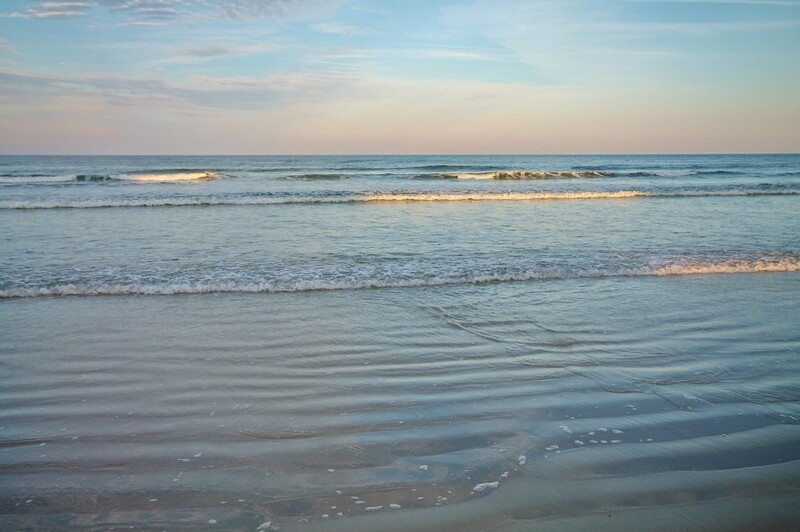 Located at the South end of the 13-mile barrier island that is New Smyrna, the waters directly in front of the complex are the perfect spot for great surfing and fishing. 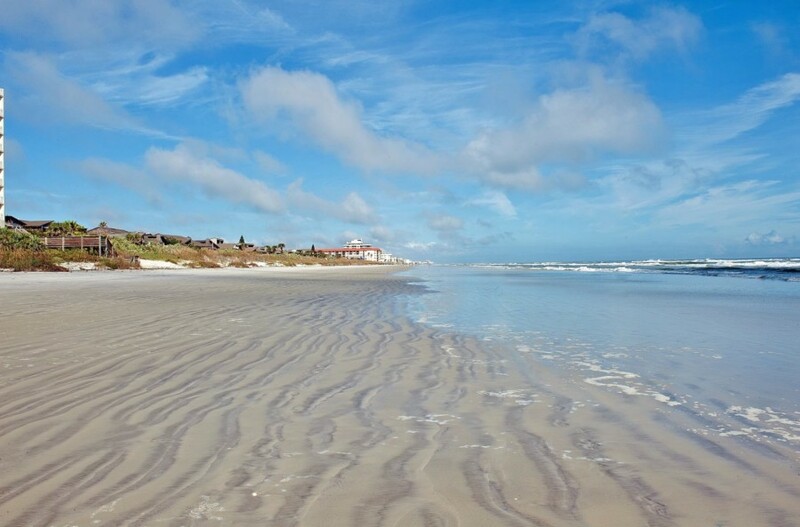 Every New Smyrna Beach Condo Rental here has balconies with close, oceanfront views. 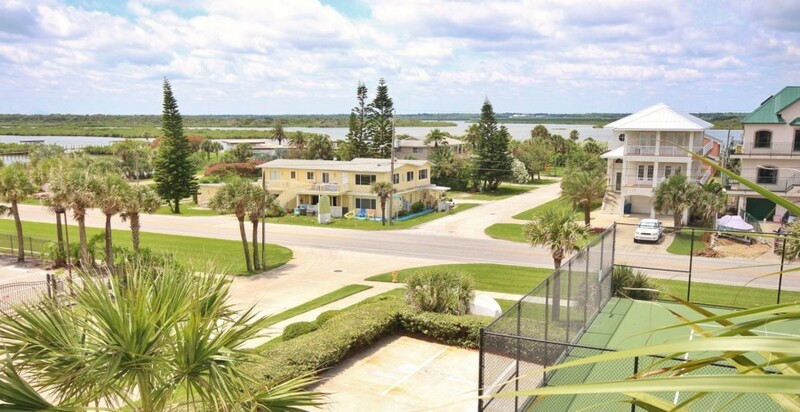 Enjoy this gated community's spectacular amenities, such as private washer and dryers inside every unit, oceanfront pool with a lap swimming lane, and even a single tennis court onsite. 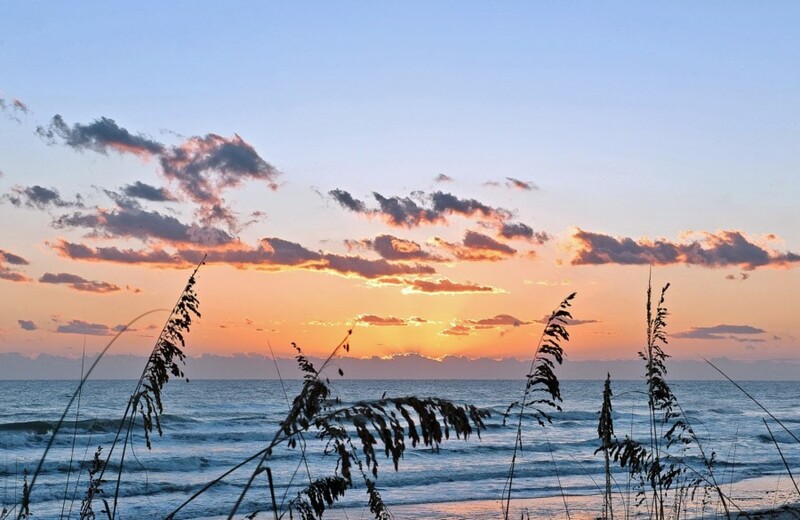 New Smyrna Beach is known for its small-town charm and laid-back, family atmosphere. 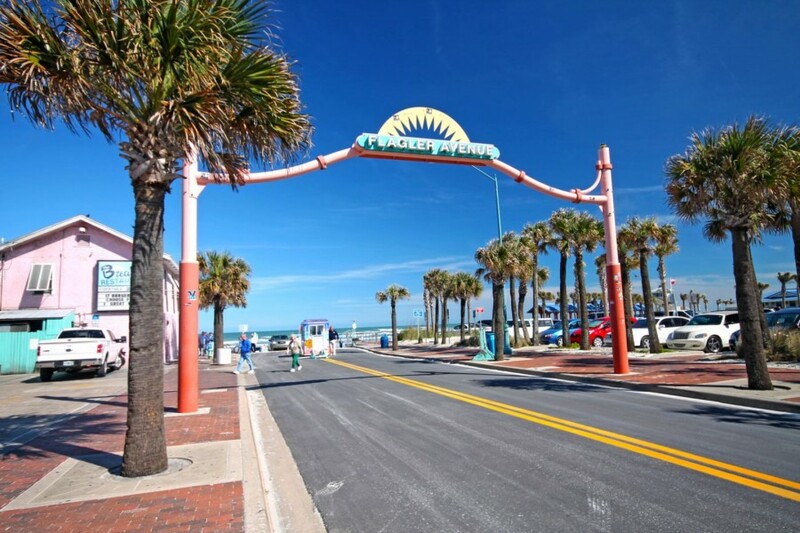 The warm breezes, wide, white sandy beaches, and large selection of outdoor activities make this the ideal spot for your Florida beach vacation. 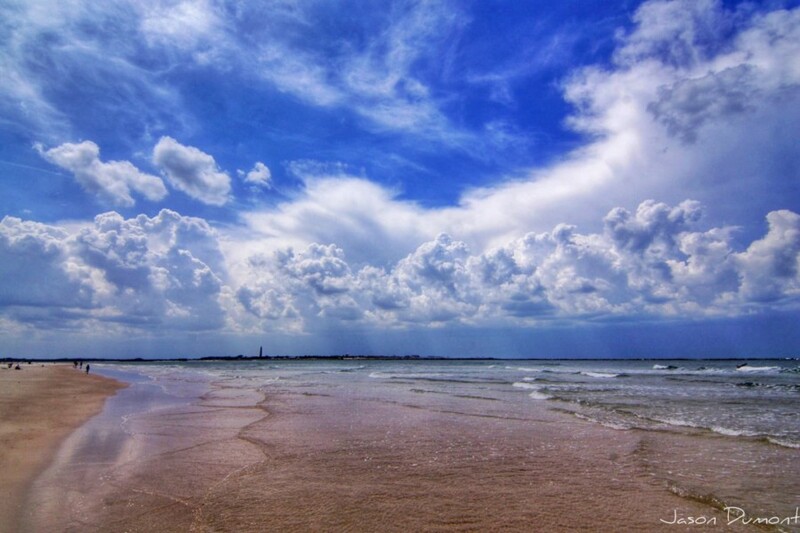 Turtle Mound at Canaveral National Seashore is only 1 mile south of The Ocean, right down A1A. 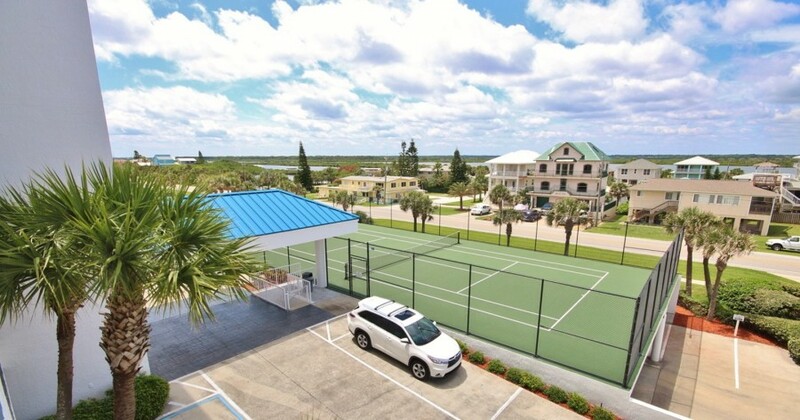 Just across the street is a public park with additional tennis courts, a basketball court and a children's play area. 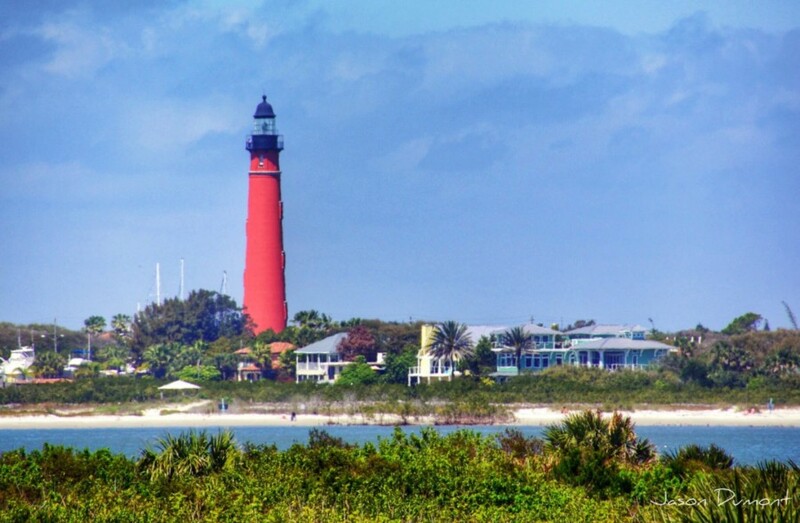 You can also walk out into a secluded bay where dolphins and manatees are often seen playing. 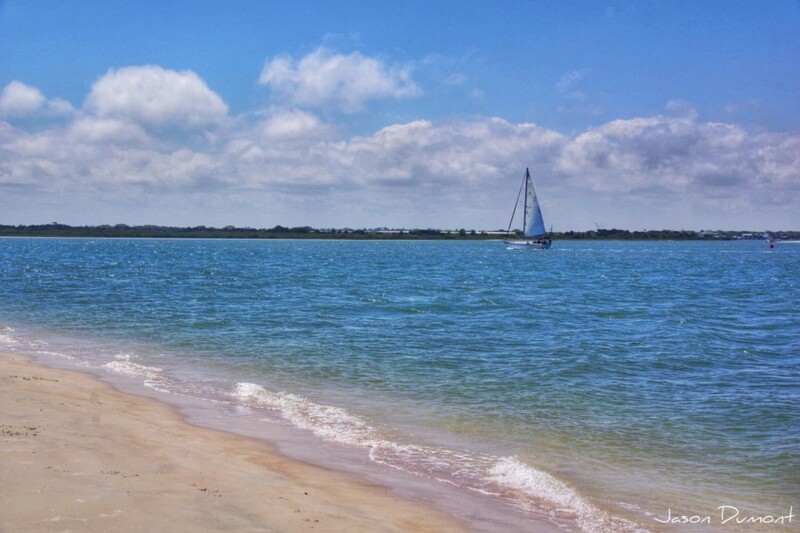 JB's Fish Camp is just 50 yards away and features fishing and kayak rentals, as well as great seafood. 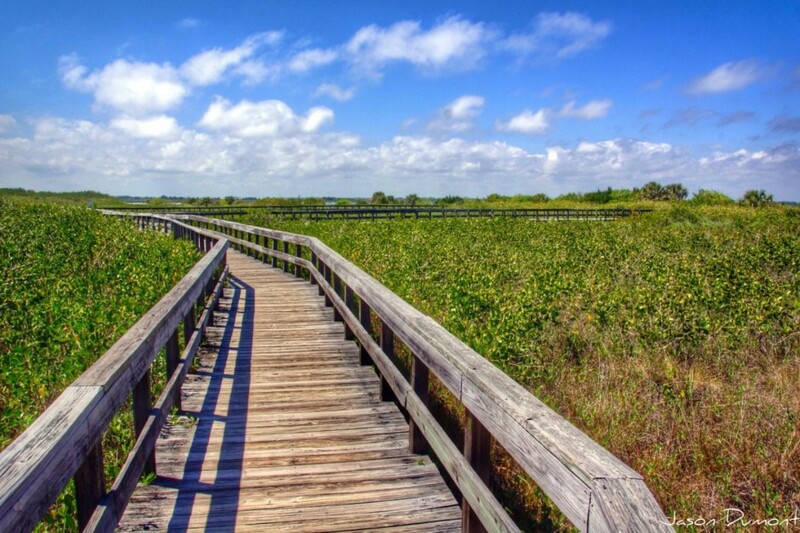 A short drive or bike down the road is the Canaveral Seashore, a US Park with the historic Indian shell mounds. In the other direction is downtown New Smyrna, with restaurants and shopping.